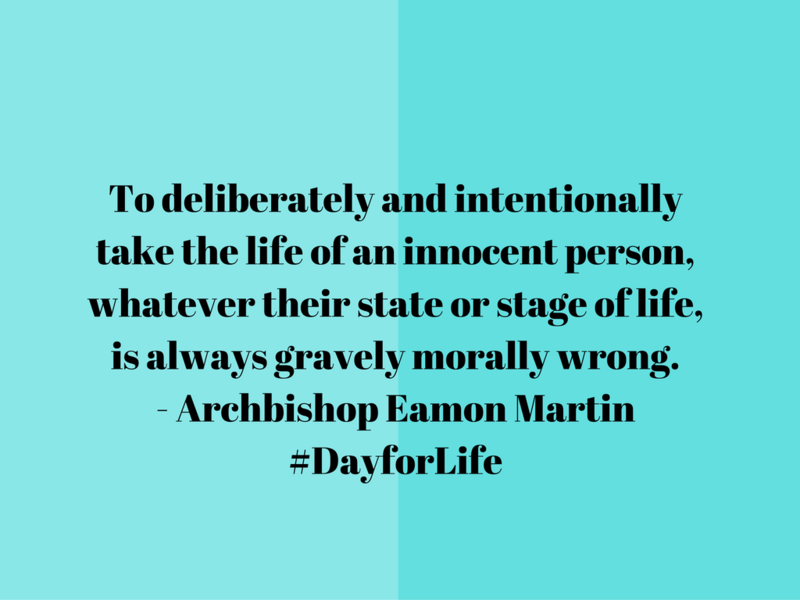 Day for Life is the Church’s special day dedicated to celebrating the dignity of life from conception to natural death. The Day for Life was initiated by Pope Saint John Paul II and has been celebrated in Ireland since 2001. It encourages the Catholic Church worldwide to promote and celebrate the sacredness of life. In his 1995 encyclical letter Evangelium Vitae (The Gospel of Life)the late Pope proposed that “a day for life be celebrated each year in every country” with a purpose “to foster in individual consciences, in families, in the Church, and in civil society, recognition of the meaning and value of human life at every stage and in every condition” (EV #85).